Zanele Ndlovu reveals to the BBC the full horror of the attack - and how she found the strength for her wedding just days later. Then your eye is drawn to the bride’s missing right arm, and the white bandages protecting what is left. 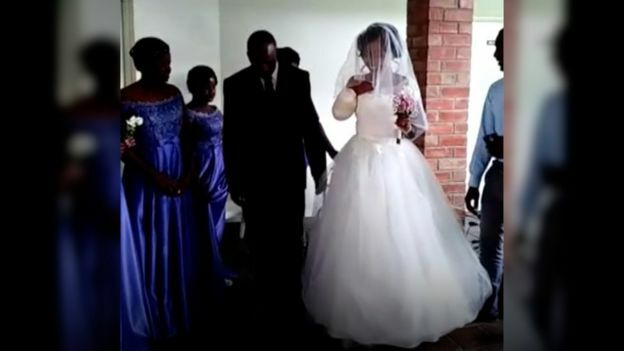 Now, speaking on camera for the first time, 25-year-old Zanele has revealed to the BBC’s Shingai Nyoka the full horror of the attack, her new-found sense of optimism – as well as her determination it would not delay her wedding day. “We had no fears at all,” Zanele says, thinking back to the moment she and her now-husband Jamie Fox entered the two-man canoe in Zimbabwe on 30 April. Indeed, there is no hint of concern in the selfie the couple – who had been dating for 18 months – share with the BBC, taken on the banks of the river, close to the world-famous Victoria Falls. But then, the crocodile “leapt” out of the river. 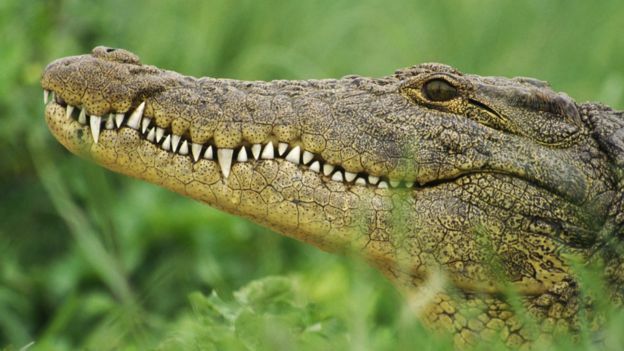 “It took us a couple of seconds to realise it was actually a real crocodile,” Zanele adds. But it was very much a real crocodile – and it had not only bitten Zanele, but also the canoe, sending the couple into the river. Now, the crocodile’s jaws clamped down onto Zanele’s arm, pulling her down under the waters which, just moments earlier, had been still. “It bit me at least three times on this arm,” she says, indicating to her amputated limb. “Here it had a little bite, on my thumb,” she adds, indicating her remaining arm. “My first thought was: ‘I am going to die.’ The water was now bloody,” she recalls. Once out of the water, one of the guides was able to tourniquet her arm – stemming the bleeding as they called for help. But Zanele knew things weren’t good. “I caught a glimpse of my hand, it was barely hanging on this a piece of skin. But they didn’t know I knew that – they tried to hide my hand from me,” she said. Zanele was airlifted to hospital in Bulawayo, Zimbabwe’s second largest city – and it wasn’t long before thoughts turned to the wedding she had so carefully planned. “We had always planned for our wedding to be on 5 May,” Jamie says. The couple knew straight away they did not want to delay – albeit with far fewer people in attendance, and under very different circumstances from the dream day they had imagined. But, Zanele says it was worth it. “I only remember it being a happy occasion,” Jamie says. 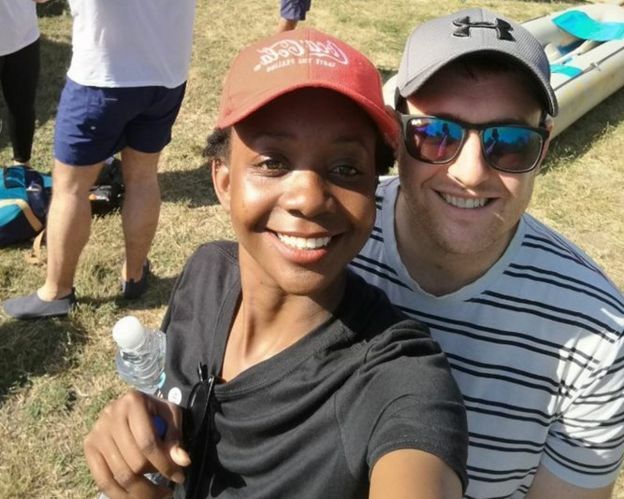 Now the couple are looking to the future, to the possibility of a prosthetic arm, and – eventually – a return to work for Zanele, as well as a move to UK, once the visa is approved. “Obviously it is going to take some time to adjust to this new life, but I think so far we are handling it,” Zanele says with a positivity and determination which she suggests would have surprised the person she was just 10 days ago. “It’s interesting,” Zanele says, thoughtful. “I am more positive now than I’ve always been. It kind of changed my life, in the sense of I almost died.